Animal lover and award-winning singer-songwriter Kesha, stunt performer Steve-O (Jackass, Wildboyz), and Shepard Fairey (artist, illustrator, founder OBEY clothing) have joined the Honorary Board of The Animal Museum. The three stars join a long list of other prestigious names such as Ellen DeGeneres (talk show host, comedian, actor, producer), Portia de Rossi (actress, model, philanthropist), Geezer Butler (musician, founder Black Sabbath), Jackson Galaxy (host of Animal Planet’s My Cat From Hell), Lionel Richie (singer, songwriter), William McNamara (actor), Elaine Hendrix (actress, activist), Alison Eastwood (actress, film director), Alexandra Paul (ex-Baywatch actress, activist), L.A. City Council Member Paul Koretz and West Hollywood City Council Member John D’Amico. Kesha rocketed to fame after her album Animal debuted at number one on the Billboard 200 in 2010. A long time animal rights and LGBT activist, she was also the recipient of “The Humane Societies Wyler Award” in 2013 for her contribution to ending cosmetics testing on animals and shark finning. As an artist, Shepard Fairey became a household name in 2008 with his iconic graphic of President Obama. Recently, Fairey has used his artistry to help animals who are up for adoption. 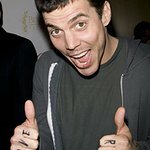 Long time animal protection activist, Steve-O’s stunt against SeaWorld made headlines in 2015 when he climbed a construction crane in Los Angeles and lit fireworks to protest the marine park’s confinement of sea mammals. The Animal Museum is the first of its kind. Its existence reflects the rapid change in our society with regard to how we treat all animals. The museum helps preserve and share the history and current concerns of the animal protection movement. The museum also offers a full roster of world-class curated rotating exhibits, in which visitors will be engaged, educated, and inspired by the unique content. Additionally, the museum houses a rare collection of one-of-a-kind artifacts assembled from around the world. For more information please visit: www.theanimalmuseum.com.